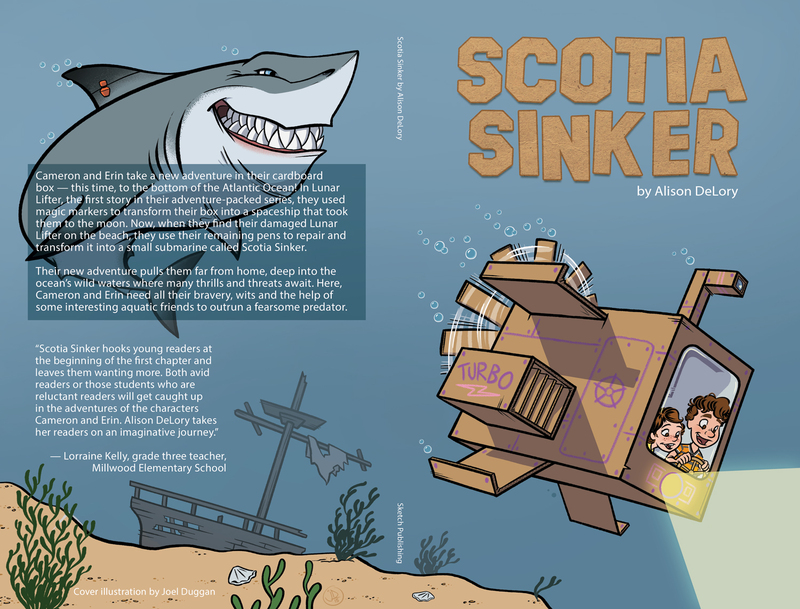 I have been working with local Halifax children’s author Alison DeLory on some illustrations for her new book Scotia Sinker. While I’m still wrapping up work on the interior illustrations, Alison has shared the cover and some information about the release in May on her website. Scotia Sinker is a follow up to Alison’s children’s chapter book, Lunar Lifter published in 2010. Here is a look at the full wrap for the cover.